Art, religion, fashion and architecture can all be studied during a trip to the cluster of small islands that make up Venice. The Island of Murano offers varied learning opportunities for children. The Murano Glass Museum was founded in 1861 and schools can partake in either an interactive visit or a workshop upon visiting. Doge’s Palace is a palace built in the Venetian Gothic style and is one of the main landmarks of Venice. The palace once belonged to the Doge of Venice, the supreme authority of the former republic of Venice, before it opened as a museum in 1923. There are plenty of learning opportunities on offer for schools, with workshops designed primarily for primary school children. These involve practical activities and experiences designed to engage children’s senses around the museum. For a brief visit to some of Venice’s most famous and historic landmarks, schools can book a Venice in 1 Day Tour. 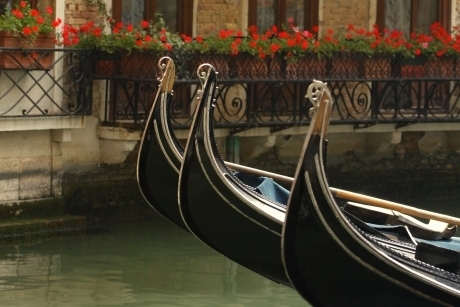 The tour is made up of both a walking and a boat tour, and includes views of St Marks Bell Tower & Clock Tower, Bridge of Sighs, Doges Palace, Marco Polo’s House, and the Pantheon of Venice. During the waterway tour, a tour guide will discuss stories of famous characters who once called the waterway their home. Larger classes must book in advance. Saint Mark’s Basilica (Basilica di San Marco) is said to be one of the best known examples of Italo-Byzantine architecture in Italy, as well as the most famous of the city’s churches. Guided tours can be taken within the cathedral, in which schools can learn about the biblical-theological messages behind the cathedral’s mosaics. Tours run every day, except for Sundays, but must be booked in advance. Teachers of art should try to organise a class visit to the Peggy Guggenheim Collection. The collection is said to be the most important museum in Italy for European and American art from the first half of the 20th century and is situated in Peggy Guggenheim’s former home, Palazzo Venier dei Leoni. Schools can view her personal collection of 20th century art, ranging from cubism to abstract expressionism. Children can take guided tours around the museum, and this year marks the fourth year of the Kids Creative Lab, an education project that is intended to stimulate the creativity of children. 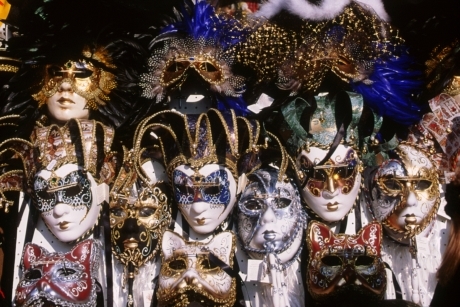 Schools can visit Ca’Macana, which is known to be one of the oldest mask making workshops in Venice. During a visit, children can learn about the tradition of mask making and how to create authentic handmade masks the way Venetian artisans would have done 800 years ago. The workshops last for around two and a half hours and tend to take place in evenings and at weekends. Schools can also book onto ‘mini conferences’ (talks) about subjects such as the masks used in Venetian carnivals and Commedia dell’Arte, which is a form of theatre. Schools with an interest in fashion may enjoy a visit to Palazzo Mocenigo, the museum of textiles and costumes. The Gothic style building houses collections from Correr, Guggenheim and Cini, and has a library on the first floor covering the history of costumes, fabrics and fashion, most notably from the 18th century. Children can take a perfume making workshop with a teacher from Mavive Parfums, where they will learn about the history and technique behind perfume throughout the centuries. A Venice Ghost & Legends Walking Tour can be entertaining as well as educational. The tour offers an alternative sightseeing route throughout Venice, but also introduces pupils to six intriguing stories about ghosts and legends from past and present. The tour takes place around what is known as hidden Venice and even gives children the chance to explore a secret passageway, once said to be used by a lover of a Venetian lady, as a way of accessing her private apartments without her husband knowing. Larger classes must contact the company direct to book or can split the class into smaller groups to take part. The Arsenale was once a major source of income and power for Venice and it’s said its shipyards and workshops produced one of the most powerful fleets in history. Today, it is used to showcase art, and there are a number of different guided tours available for the area. Many explain the construction of the galleries and include visits to the Naval Museum of the city and the Castello district. Legoland Discovery Centre offer hands-on learning across the primary curriculum, while building and reinforcing skills including collaboration, communication, creativity, critical thinking and problem solving.